Best tinted moisturizer. 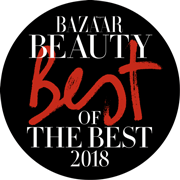 Diamond White Oil-Free Brilliant Sun Protection SPF 50 recognized as Best tinted moisturizer in The Harper's Bazaar Awards. Natura Bisse has combined several core needs of today's skin to bring you a Diamond Collection product with an added SPF and color corrector that is absolutely oil-free. This unusual, multi-functional velvety cream not only brightens, it also protects, color corrects and evens skin tone. Here, pomegranate extract, a wondrous ingredient protecting against UVA/UVB rays, meets depigmenting agent Ellagic acid, creating a cocktail that evens skin tone while bringing vibrant luminosity as well as soft and supple skin to the touch. • Prevents and fights against dark spots. • Evens out skin tone, revealing luminous skin. • Protects against the damaging effects of sun radiation. Melanin-like pigments that adapt to each skin tone, for an even skin tone. Pomegranate extract for clarifying skin tone and blocking free radicals with its antioxidant power. Chemical sun filters for absorbing and dispersing UVB radiation and for impeding the accumulation of melanin on the surface of the skin. Physical sun filters for minimizing the damage caused by UVA and UVB rays and for hindering their effect to prevent the deterioration of the skin. Vitamin E, an exceptional antioxidant, for providing the skin with an even tone and luminosity. Vitamin F, Omega 3 and Omega 6, for preventing water loss and maintaining the skin’s barrier intact, thereby increasing its resistance. PA+++ for the maximum level of protection against the sun’s rays, recognized by the JCIA (Japan Cosmetic Industry Association). Water (Aqua), Cyclopentasiloxane, Titanium Dioxide (nano) (CI 77891), Zinc Oxide (nano), Ethylhexyl Methoxycinnamate, Dimethicone, Cetyl PEG/PPG-10/1 Dimethicone, Glycerin,Butylene Glycol Dicaprylate/Dicaprate, Phenylbenzimidazole Sulfonic Acid, Arginine, Silica, Lactobacillus/Punica Granatum Fruit Ferment Extract, Leuconostoc/Radish Root Ferment Filtrate, Bisabolol, PEG-10 Dimethicone, Tocopheryl Acetate, Glyceryl Linoleate, Tocopherol, Dimethicone/PEG-10/15 Crosspolymer, Disteardimonium Hectorite, Triethoxycaprylylsilane, Diphenyl Dimethicone/Vinyl Diphenyl Dimethicone/Silsesquioxane Crosspolymer, Sodium Chloride, Dimethicone Crosspolymer, PEG-30 Dipolyhydroxystearate, Silica Silylate, Propylene Carbonate, Disodium EDTA, Caprylyl Glycol, Decylene Glycol, Dipropylene Glycol, Glyceryl Linolenate, Sodium Citrate, Sodium Lauroyl Glutamate, Lysine, Magnesium Chloride, Phenoxyethanol, Fragrance (Parfum), Lavandula Hybrida Oil, Linalool, Coumarin, Amyl Cinnamal, Iron Oxides (CI 77492, CI 77499, CI 77491). Apply an even layer to your face, neck and décolleté until completely absorbed. Recommended to use in the morning, and every 2-3 hours depending on sun exposure. Try it as a sheer base makeup as its pigments adapt to any skin tone. For added luminosity to your night, apply before your evening makeup.